During patient evaluation for TMJ and dentofacial abnormalities it is important to know the patient’s concerns, symptoms, and treatment expectations. 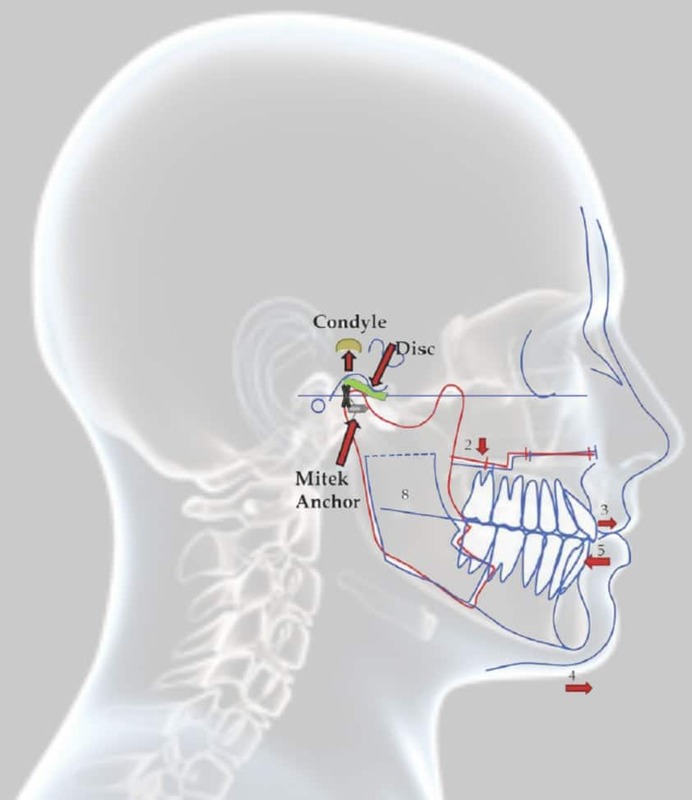 We have previously published detailed information on patient evaluation for orthognathic surgery including clinical, radiographic, and dental model analyses. When the TMJs are also involved, additional evaluations are necessary to determine the etiology, diagnoses, and treatment approach to provide optimal outcomes. Subjective assessments are recorded relative to headaches, TMJ pain, myofascial pain, jaw function, diet, disability, etc., as well as objective evaluation including jaw function, palpation, radiographic, MRI, or other imaging. The patients' history should document the age of onset for any TMJ related symptoms or change in jaw and occlusal relationship, etiology, genetic factors, the progression of the TMJ pathology, as well as any additional affecting issues contributory to the present condition. Are these symptoms and jaw-occlusion relationships stable or have they become progressively worse? What previous treatments have been provided? 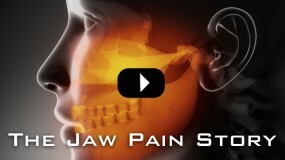 Has previous orthognathic or TMJ surgery been performed? Are there any habitual patterns such as clenching and bruxism, tongue thrust, thumb sucking, etc.? 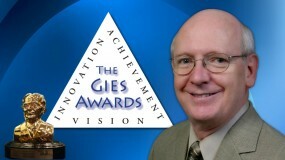 Are there other symptomatic joints in the body or major disease processes such as connective tissue or autoimmune diseases, GI problems, recurrent urinary tract infections, diabetes, cardiac conditions, vascular compromises, airway or sleep apnea issues, smoking, alcohol or drug abuse, female hormone imbalances, etc., as these factors may affect TMJ treatment decisions. Physical examination of the head, neck, and shoulders is performed including palpation to determine the presence of muscle pain and functional limitations; incisal opening and excursion movements; TMJ pain, noises, and dysfunction; associated facial or functional asymmetries; and so on. Since airway obstruction problems are very common in TMJ patients, the anatomical structures that can adversely affect the airway should be evaluated for possible obstruction including; the oral cavity, oropharyngeal area, and nasal airway. 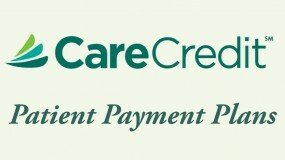 Some patients may need additional evaluations such as rheumatology, internal medicine, neurology, cardiology, sleep apnea diagnostic specialists, radiology, dental specialists, laboratory tests, etc. One of the most important steps in evaluating patients requiring orthognathic surgery is to evaluate the TMJs, since TMJ pathology is commonly associated with dentofacial deformities. The use of a standard questionnaire in reference to specific questions about the TMJ history or parafunctional problems can be helpful and important in the overall diagnosis and treatment planning. Ignoring TMJ pathology can render an otherwise good initial orthognathic surgical result in to a disastrous result relative to stability and pain. It is of importance to record information such as the age of onset of the TMJ symptoms such as; clicking, popping, crepitation, pain, headaches, jaw dysfunction, malocclusion, worsening bite relationship, etc. ; required medications to control the TMJ issues. 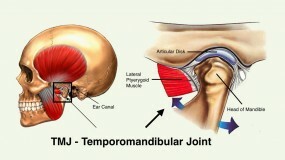 History of parafunctional habits such as clenching, bruxing, nail biting, or others; presence of pathology or issues with other joints, as this will have an influence on treatment options; Ear symptoms such as earaches, tinnitus, vertigo, hearing loss, etc., or other issues that may accompany TMJ pathology. The time of day, rate of occurrence, and intensity should be recorded for any of these signs and symptoms. The patient should be evaluated sitting upright in a straight back chair or standing facing the clinician. Pupillary plane level should be relatively parallel to the floor in coordination with the ear plane. Although these are not always perfectly accurate, orienting the head in that position may help identify significant facial asymmetry problems, which are commonly related to TMJ issues. 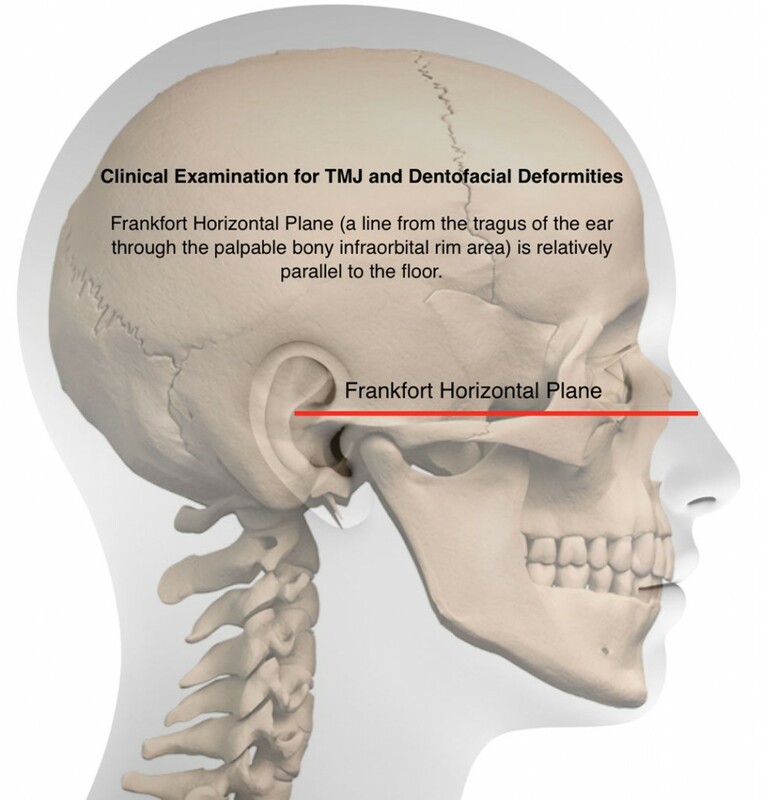 The head should be postured so that the Frankfort Horizontal plane (a line from the tragus of the ear through the bony infraorbital rim) is relatively parallel to the floor. This places the head in a position that many patients would assume if they have normal facial harmony, normal airways, and no TMJ pathology. Any facial asymmetries relative to vertical, horizontal, or the presence of a posterior or anterior yaw are recorded. The patient is then evaluated in the profile view with clinical Frankfort horizontal plane relatively parallel to the floor) to evaluate for A-P maxillary and mandibular projection, midface and nasal relationship, as well as vertical facial balance. This is an important step as the patients with a retruded mandible, maxilla, and the high occlusal plane angle facial morphology are the most common patients to have not only with airway obstruction but also TMJ issues. The patient once again faces the clinician. The occlusion is evaluated in centric relationship as well as centric occlusion. Class I, Class II, or Class III occlusion is recorded in centric relation along with cross bites, open bites, deep bites, etc. 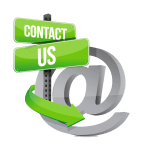 Missing teeth, crowding, crowns and bridges, functional occlusal shifts, etc. are recorded. The next step is to palpate around the head and neck area. The temporalis muscle are palpated bilaterally with finger pressure throughout the entire area of the temporalis muscle attachment, with recording of any discomfort or pain on a numerical scale of 0 equals no pain and 10 equals the worse pain imaginable. The masseter muscles are then palpated, followed by the medial pterygoid muscles, the SCM muscles, posterior neck muscles from the base of the skull to the upper back, and shoulder muscles. Palpation is performed in the retromandibular area, although even in the normal patient, this may be a little tender to palpation but in TMJ patients it can be quite sensitive and painful. Direct palpation over the TMJs is then completed to record any levels of discomfort and pain. The medial pterygoid muscle can be palpated from intraorally to determine any level of pain or discomfort associated with that muscle. The patient then opens the mouth to a maximum, measurement recorded, and recordings of any clicking or popping and the amount of incisal opening at which they occur during opening movements as well as closing movements are recorded. An incisor opening measurement is made to where the patient can open the jaws without pain. If crepitation is present, that likewise is documented. Excursive movements to the left and right sides are recorded, and observations of noises in the joints, such as clicking, popping, or crepitation. Objective evaluations are done to include incisal opening, measuring between the mandibular and maxillary incisors with subtracting the amount of the preexisting open bite and adding on the amount of vertical over bite, if present, to get an accurate interpretation of the actual incisal opening. The excursion movements are also measured to maximum and recorded in both directions. Other subjective determinations and evaluations are completed by asking the patient how much they experience on a scale of 0 to 10 in the following areas:1) TMJ pain, 2) Facial pain, 3) Headaches, 4) Jaw function, 5) Diet, and 6) Disability. With the headaches, it is helpful to note the location of the headaches, whether they are in the frontal, temporal, base of the skull, top of head, as well as rate of occurrence, time of day, what initiates and relieves them. Cephalometric analysis is important to do on TMJ patients because the most dominant facial type that experiences TMJ pathology is the high occlusal plane angle facial morphology that also exhibits a retruded maxilla and mandible. These patients are sometimes misleading when evaluating them because they may tip their chin up high and forward to make the chin appear more prominent and balanced as well as to open their oropharyngeal airway. If the patients are not evaluated with a proper corrected head position, the amount and degree of maxillary and mandibular retrusion may be missed, thus the importance of evaluating the patient with Frankfort horizontal plane parallel to the floor. 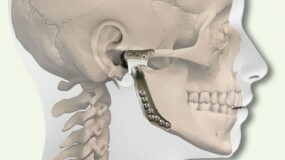 In cephalometric analyses, maxillary depth, mandibular depth and the Frankfort horizontal plane must be established. Unfortunately, the Frankfort horizontal plane bony landmarks will oftentimes lead to a misinterpretation of the actual facial deformity. Therefore, construction of a Frankfort horizontal plane ignoring the normal anatomic landmarks may be necessary to adjust the maxillary depth and mandibular depth so that numerically those numbers match the clinician’s impression of the patient’s profile. This then allows the use of normal anatomical cephalometric interrelationships to be used to establish good facial and occlusal harmony and balance. The oropharyngeal airways and nasal airways can also be evaluated with the imaging. A collection of all this data will aid the clinician in determining the presence of a TMJ condition, the severity, longevity, age of onset, and whether there are other systemic problems that could be contributory.